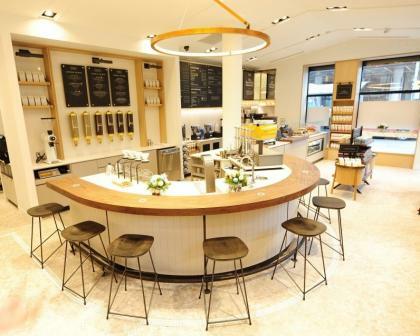 Coffee Shop Overview in MontrealThe franchise opportunity for a prime coffee shop in Montreal area is really prime for you. Coffee shops here offer excellence when it comes to opening several locations, considering their being multi-unit operators. Owning a coffee shop in this part of the country will make you the lucky operator with the first choice of the best location throughout the city. Coffee shops here are now open for franchise in different locations throughout Quebec, about 60 and more within the country. Their cost range starts at CA$300K. The franchise will require you to provide a down payment of CA$135K before you can qualify. If you are passionate about coffee, have restaurant experience, can follow the systems of this industry, and have an unencumbered funds amounting CA$250K, then you should not let the opportunity of owning or franchising this coffee shop in Montreal. The coffee shop is a well-established franchised coffee shop that offers franchisee a comprehensive training program that covers hands on experience for 6 weeks. You will be partnered with a regional manager to assist you in your business venture as soon as you get a franchise of the coffee shop. The manager will serve as your guide in doing your business in Quebec. The coffee shop has a reputation of being one of the leading coffee shops that has adapted offer to innovative markets, technologies and customers. It stands out from the rest of coffee shops in the area considering its trendy set-up, appealing décor, and very relaxing ambience. Its sleek look and light shades make up its pleasant atmosphere. It only offers high quality of coffee, which are all available in premium blends. It offers cappuccino, latte, espresso and many more aside from its regular coffee. You will be amazed on how baristas prepare your coffee using the Steampunk technology, which only makes a cup of coffee or tea at its perfect sense. Its croissants and pastries are excellent as well. The coffee shop also takes pride in getting to know more about its customers, as it recognizes the fact that no two guests are alike. This is the very reason why it continuously strives in providing guests with various choices of beverages. It tailors your drink of choice to perfection every time whether you ordered for an icy, blended treat or a warm, handcrafted latte. This property, which is located at 5365 - 5369 Queen Mary Road Montreal, QC. H3X, is now available for lease. Decide now and contact the seller for the availability of our owner financing and any other funding options. Just contact us for more information about the property and the business as a whole. We will be more than happy arrange an appointment with you and attend to your related queries.